Absolute value problems that have students moving around the room. 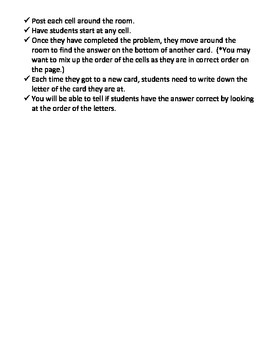 Post the problems and have students solve them. As they solve the problems, they find the answer at the bottom of another problem. 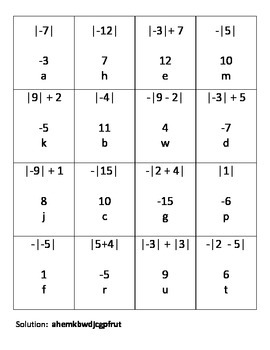 When finished, all you have to check is the sequence of letters that match each problem.